Once you’ve got a taste for it, you just can’t stop at one. Not what I want to see outside my window first thing in the morning. Maybe I should hang out a bird feeder. Wow, I thought you were kidding. 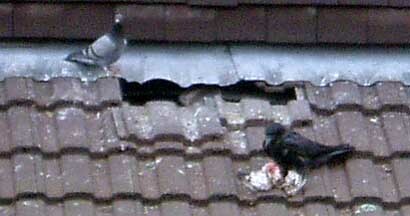 Ravens in the UK seem to have a different diet than the ones here in the colonies. Everything on this blog is 100% true. Have I ever lied to you? Boring Like A Drill. A Blog. » Ah fooked dis place afore yew!